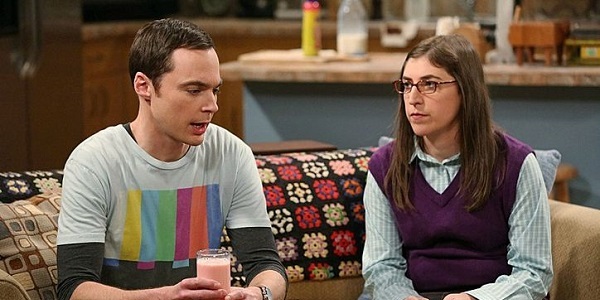 One of TV’s most established and stasis-driven relationships is the one between Sheldon and Amy on The Big Bang Theory. Though they were split up for a brief period, the couple is currently going stronger than ever, and things are going to get even better for them really soon, thanks to that mysterious secret Sheldon is planning on revealing. Though this won’t be an earth-shattering turn of events, actor Jim Parsons says it’s still an important part of them taking the next step in the romance. The [writers] are doing one thing after another to keep that relationship advancing without shoving it into the future. This is one of those things that doesn’t necessarily change anything from a viewers’ perspective on a day-to-day basis of watching the show, but in a subconscious way and from the groundwork of the show in general, it adds a layer of something between them. Considering Sheldon is not a character who makes grand gestures, especially not of the romantic kind, it makes complete sense that he is more emotionally invested in smaller, more personal signs of solidarity. And I’m sure it’s going to take a major effort for him to share whatever it is with Amy, considering he’s never told anyone else before. Actress Mayim Bialik shared with EW that this “new level of trust” is discussed between them, and that it’s a really special moment. She also cast a little cryptic light on what we can expect that secret to be about. It’s along the interest in Sheldon as a spectrum-y person kind of information, and it’s a really sweet episode. The Big Bang Theory hasn’t ever gotten specific about any spectrum-related disorders that Sheldon may or may not have, and those on the show have stated in the past that they don’t want to label anything, so I can’t imagine Sheldon will be bringing up anything along those lines. But it has to be something extremely close to his heart and his sense of self. As curious as we are to hear what Sheldon will be getting off his chest, we’re just as interested in seeing where this more trusting phase of the relationship will lead him and Amy. We know that an engagement, complete with Meemaw’s ring, is in the cards at some point, and that they might end up doing the deed a second time. But are either of these what’s coming in future seasons? I wonder how long we’d have to wait in order to watch Sheldon and Amy raising a child. Or even agreeing to babysit Howard and Bernadette’s baby, assuming they even have the courage to ask him. Maybe his secret involves his top-notch skills as a babysitter. The Big Bang Theory returns to CBS from its brief hiatus on Thursday, March 31, on CBS.